Questions about ticketing and getting into the show. I write for a popular blog, how do I get a media pass? Shoot us an email with a link to the blog you write for and the relevant social media links for the blog. We’ll let you know if you are approved for a media pass. Could my picture appear on camera? 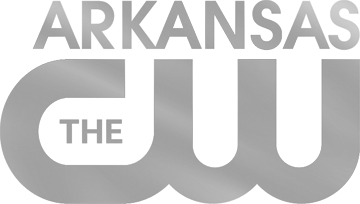 Local tv stations (CW, KARK, Fox16, KATV, KTHV and others), various newspapers (local colleges, city papers, Arkansas Democrate Gazette, etc), and various print media are attracted to River City Comic Expo. By purchasing a vendor and/or artist badge, VIP pass, day pass and in consideration for being admitted to our event, the holder consents to being recorded (by audio, visual and/or other means) for exhibition and exploitation by any means in all media now known or hereafter devised worldwide in perpetuity. (2) authorizes and permits River City Comic Expo and its designee which include but are not limited to all sponsors, exhibitors and contractors to use and authorize the use of his/her name, voice, likeness and all reproductions thereof by any means and in all media now and hereafter know for all purposes worldwide in perpetuity. (3) agrees to comply with all rules and regulations of the event. Holder agrees not to make any recordings of any kind at designated activities without the express written permission of River City Comic Expo. We reserve the right to deny entry or remove from the event facilities any person who in our sole and absolute discretion is behaving or threatening to behave in a manner which we reasonably consider to be disruptive of the event. Pre-ordering tickets through Eventbrite will cost $11.24 per person for One Day and $16.37 per person for a Weekend Pass and will cut down your wait time in line. If you purchase tickets at the door it will be $10.00 per person for One Day and $15.00 per person for a Weekend Pass. Kids under 12 are FREE with an Adult. VIP tickets can be pre-ordered through Eventbrite and will cost $77.87. Purchasing them at the door will be $75.00. All access all weekend! The show floor, extra ticketed events, and preferential seating at all film screenings! VIP Ticket holders will also receive free admission to ticketed after hours events, convention exclusive items, and 30 min early access to the show floor.